Tiger Trailers is on the hunt for dozens of new staff after it outgrew its current base in Winsford Industrial Estate and moves to its new building on the estate in the New Year. The Council and its partner Public Sector Plc have supported the trailer manufacturer by unlocking the land for it to expand and the four year old company is now taking on 50 new people from the Winsford and west Cheshire area. 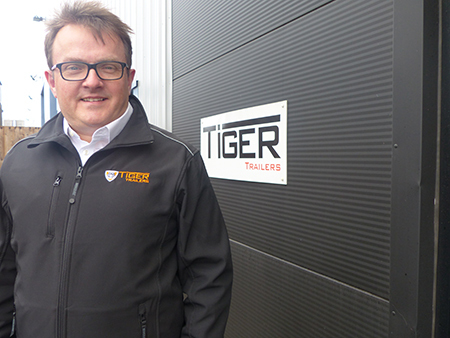 Tiger Trailers has big ambitions for its future which it sees remaining in Winsford. “Moving into the new factory, we are going to grow the workforce by about 40 to 50 in this first phase. If our business plan comes off, we will increase the workforce even further. “Winsford Industrial Estate is a really good hub into North Wales, onto the motorway network and across the Pennines. From a geographic point of view it works in terms of us distributing products to customers but also getting product in from suppliers as well.